Black long dress gloves by Dents in a fine quality delicate sheer net fabric. A fun-looking yet elegant accessory to complete an outfit, whether it is contemporary fashion or for a vintage, retro or burlesque look. 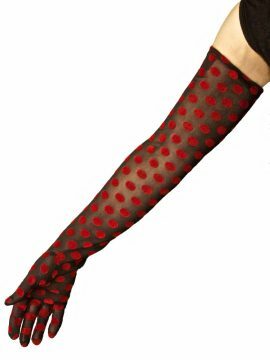 They are 3/4 length, reaching to just below the elbow. ‘One Size Fits Most’. 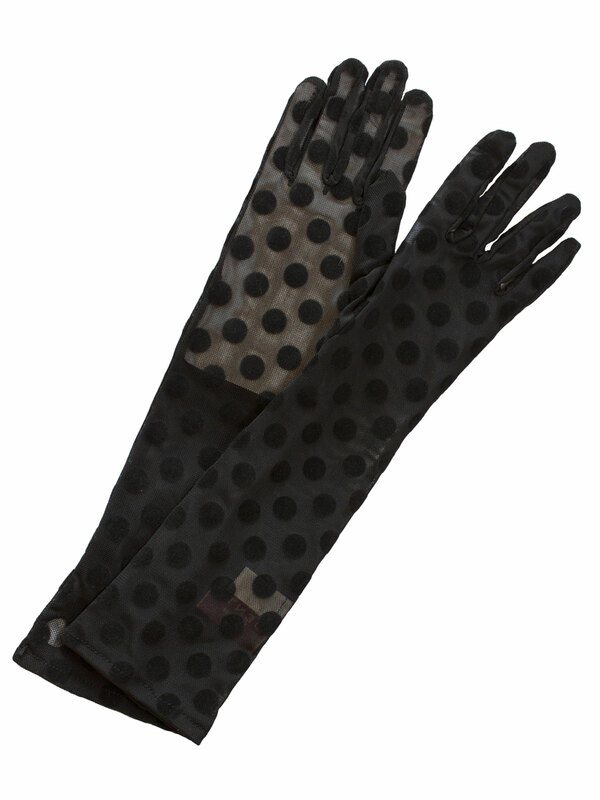 NOTE: The additional image of the gloves has a white card insert to show up the black spot pattern. 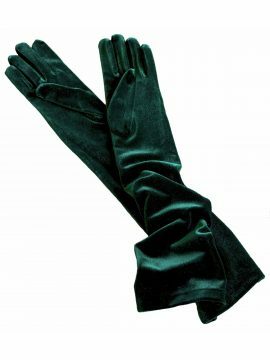 Eye-catching, fine quality black long dress gloves by Dents. Lovely to complete an outfit with a different look, whether it is contemporary fashion or for a vintage, retro or burlesque style. They reach up to just below the elbow.